Customers who have experienced the incredible benefits of US Logic’s refurbished EMC products in the PA and New York areas will be excited to hear the latest news from EMC. In a recent conference call, EMC President and COO David Goulden and other top executives stated that the move to cloud computing is appropriate for the company’s future business prospects, as the need for virtual storage capacity increases. Goulden also stated in his prepared remarks for the conference that the move to both public and private cloud storage is contributing to their business in a positive way. “Both private clouds and public clouds offer growth opportunities for us," he said. "We expect far more business workloads to run in private clouds than in public clouds in 2016, and therefore represent a greater opportunity.” The greater opportunity Goulden is speaking of is the service provider vertical continues to be the fastest-growing vertical for EMC. Backing up Goulden’s latest claims, IDC and Gartner reports show an increase in customer demand for private clouds, estimating that 78% of workloads are expected to be deployed in private clouds within the next two years. Here at US Logic, we feel that EMC is in a great position to do well with the cloud as the company has been supportive of off-prem and on-prem solutions to various service-provider partners. By choosing EMC, customers can have traditional storage, as well as cloud-based storage. Will cloud take away from traditional storage sales? This question will continue to be asked as the IT industry evolves. The important thing to remember is that there are benefits to both, and US Logic is available for traditional storage solutions and will also help you move towards cloud storage as well! US Logic provides IT solutions with refurbished EMC products for New York and PA service areas. 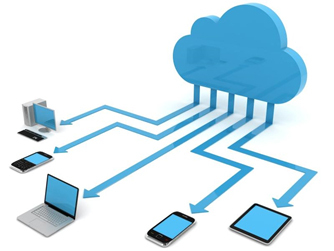 We also advise organizations to devise plans that move toward cloud storage. Please contact us today to hear more about our services, and continue to read our blogs as we provide insight on the latest industry news.